Be the talk of the team at your next training session in the Vapodri Challenge Rugby top. 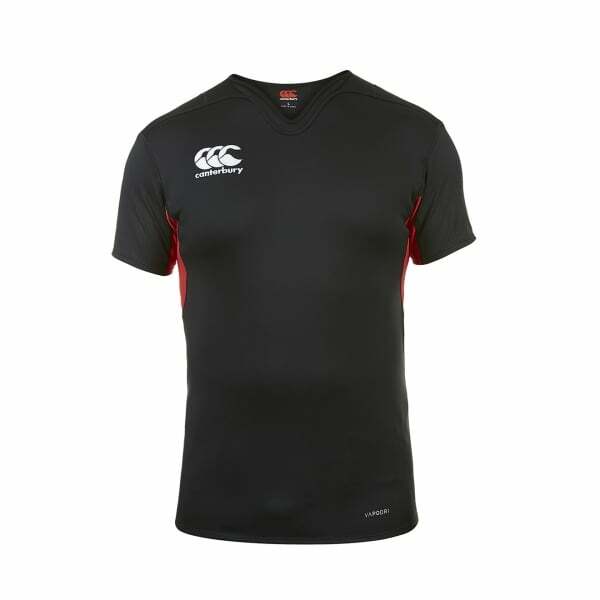 Like all of Canterbury’s technical training gear, this top is both stylish and durable. The pro athletic fit and loop 66 collar provides the freedom and movement essential for maximising power on the field, while the lightweight polyester offers exceptional breathability and comfort. With the moisture-wicking Vapodri fabric technology, you’ll stay drier and cooler, even during intensive training sessions. You’ll be a trendsetter too, with the high-contrast sleeves and iconic embroidered Canterbury logo, which immediately groups you into the well-established Canterbury community of fans and athletes. The modern, stylish design makes it suitable for wearing both on and off the field.